Today was Day #8 of Chocolate and Peanuts Theme Week. If you're a vegan who loves milk chocolate, you might be disappointed there are not more options. 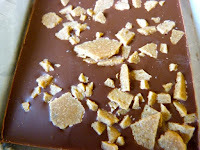 Not, however, if you've discovered Charm School Chocolate (Reisterstown, MD). Charm School bars have the velvety smoothness that can be achieved with coconut milk, and the flavor of carefully and slowly roasted and processed cocoa beans. I'm partial to their "darker" bars, but today's 49% cacao bar is sure to charm those with a sweet tooth. 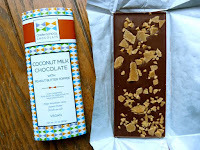 This bar, made from Maya Mountain Cacao,* had a faint green coconut aroma; and it was (like its siblings), nice and smooth with a clean finish. 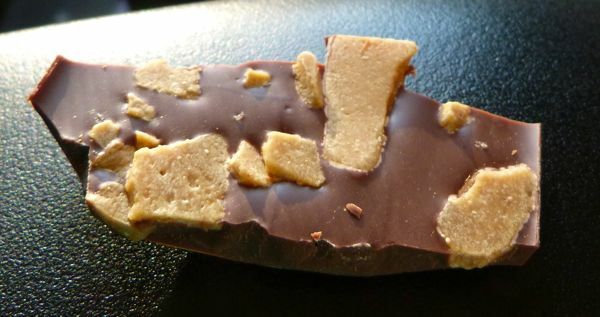 It had a generous sprinkle of carefully crafted peanut butter toffee flakes on one side, tempered with a barely discernible hint of French sea salt. 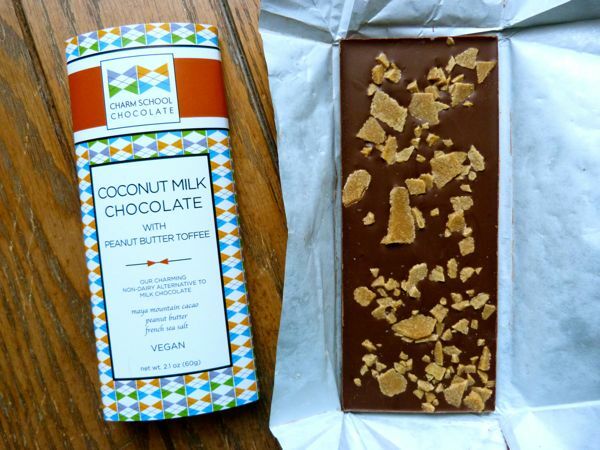 For vegans who love milk chocolate, you're in luck. But, you don't have to be a vegan to enjoy Charm School bars. Thank you to The Chocolate Garage (Palo Alto, CA) for stocking these, and many other great bars. *Cocoa beans used for to make this chocolate were from Maya Mountain Cacao, located in southern Belize.